Welcome to Thurleigh! On behalf of the whole village we hope that you will soon settle in, get to know your new neighbours and make new friends. We all hope you will enjoy living here. The Welcome Pack is free to all newcomers. Every effort has been made to ensure the contents of this booklet are correct but if you find any errors please accept our apologies and contact the Welcome Pack co-ordinator listed in the Appendix. All contact names and telephone numbers are listed in an Appendix at the back of the booklet that will be updated periodically. However, the most up-to-date information can be found on the website. If you move away please leave this pack in your house for the next owner. If you have access to the internet, all the information contained in this Pack, and links to other useful sites, can be found on the village website, at: www.thurleigh.net The website includes a calendar of events, and reminders of bin collections, mobile library visits etc. It also contains transcripts of several census returns for the village, as well as other historical references and archive photos. The website is maintained by villagers, for villagers. To contact the webteam, please send a message via the website. The village of Thurleigh stands on a 250ft high plateau, said to be the largest in England. In size the parish consists of about 3,400 acres of fertile clay soil, and because of its height has clear air and occasional bracing winds. About 750 people live in the village in about 250 dwellings. Apart from the main village hub, the village is spread across 5 ends - Church End, Cross End, Scald End, Backnoe End and Park End - that cover an area of about 6 square miles. Community life continues to thrive with regular events held at the Village Hall, the Church, the Playing Field Club and the Jackal. 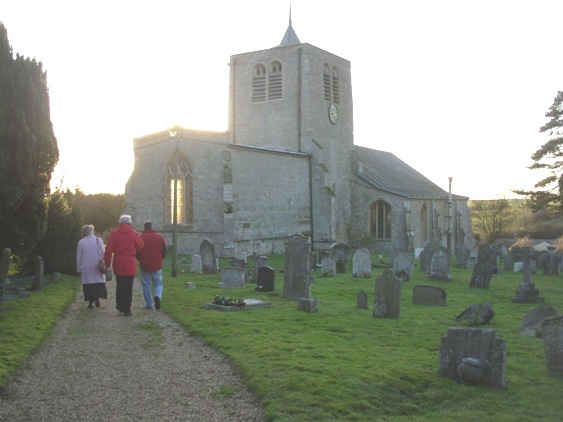 This document was compiled between 2005 and 2007, to record the developments and improvements that parishioners would like to see in Thurleigh over the next 5 to 10 years. A key outcome from the Parish Plan was the creation of the Environmental Improvement Network (EIN) - a group concerned with maintaining the quality of the environment within the parish. More details can be found later in this document or on the website. To improve sustainability within the parish, new villagers will be given information on how to access this information on-line. Hard copies will be issued on request. The name 'Thurleigh' is believed to have originated from the Saxon words La Lega meaning 'the clearing'. At the time of the Domesday survey the main estate was owned by the La Leye family, situated at what is now Blackburn or Blackborne Hall; this has also at times been known as Blackbird and Black Bull Hall. Later two other manors grew out of this and became more important - Whitwick, known as Thurleigh Hall, and Backnoe. None of the older manor houses has survived, although the present Blackburn Hall contains chimneys from an earlier dwelling. Evidence that Thurleigh had been inhabited from an early date was uncovered during a 1976 excavation of the grounds of the Old Vicarage before they were redeveloped. A castle mound, known as Bury Hill, behind St Peter's church is scheduled as an Ancient Monument. It is thought that it was erected, without planning permission - an 'adulterine' building, in about 1140. It is possible that the church is built from stone originally used in the construction of the castle. The Enclosure Acts of the early 19th century saw great changes in the landscape around Thurleigh. The Great Field, Church Field and South Field were divided up into smaller holdings and allocated to different owners. Another change from around the same time was the disappearance of the village greens. Although some common land still exists within the village it was mostly allocated to ownership during enclosure. Due to Thurleigh's heavy clay soil, farming was never prosperous and with no alternative employment there was much poverty. The farmhouses were small and village dwellings were of low standard. A number of roads have fallen into disuse over the centuries. A road from Thurleigh to Wilden used to go through Park End but is now just a bridleway. Another from Whitwick Green to Riseley was eventually built over with the advent of Thurleigh airfield, as was part of Keysoe Road. Thurleigh boasts a church - dating back to Saxon times, but whose earliest surviving part is a Norman tower and doorway built around 1150 - and a Baptist Chapel, built in 1827. The church has been rebuilt on a number of occasions and underwent extensive restoration during the 1950s to make good damage done by a landmine dropped on Mill Hill by enemy aircraft during the war. On land just outside the church stands a War Memorial to men of the village who gave their lives in two world wars. Recently relocated to the Airfield, stands another Memorial - to those American airmen who made the ultimate sacrifice in the Second World War. For most of its known history people such as the Dukes of Kent and Bedford owned Thurleigh. The only resident family of importance was the Harvey family of Thurleigh Hall, a long gone building which stood close to the present manor. James I is said to have stayed at the Hall for two nights in 1608 to attend a christening. The church of St. Peter, on a rise in the village, is a fine and ancient building of stone, consisting of chancel, nave, aisles and a central tower, containing a clock and 6 bells, the 6th bell and a clock dial being added in 1897, in commemoration of the Queen's Diamond Jubilee. The earliest building discovered at the site of St. Peter's church stood approximately where the present nave is and was built around 1100 AD in the Norman style. Previously there was probably a Saxon Church on the site of the present chancel. The earliest surviving part of the church is the lower part of the central tower which dates from about 1150. It survived the 1280 demolition of the church when a south aisle and a new chancel were added. The only remaining features of this period are the chancel east window, the priest's door, the square headed window and the present nave tower. The nave, aisles and the porch are 15th Century. The 'Adam and Eve' door dates back to Norman times. In the nave is a brass to John Harvey, supposed to be of the 13th century, and in the chancel is a marble slab to John Harvey or Hervey, the last of the family, who died in 1715. The church was thoroughly restored in 1882, at a cost of about ?700, and the bells in 1889, at a cost of ?150. In 1887 a beautiful stained window was inserted at the east end of the chancel by Mr. and Mrs. Feazey in memory of their children. During the restoration of the chancel, a low-side window was discovered on the south side with traces of ancient fastenings. The register dates from the year 1562. In 1930-40, due to an unpopular Vicar, the congregation dwindled; the church fell into disrepair and was closed in 1945. Following articles in the national press about the plight of the church the villagers were spurred into raising money and forming working parties. The restoration work on the tower and the chancel in 1950-60 allowed services to be held again and in 1970 the nave was completed. Sadly this removed the clerestory leaving the building looking as it had before the 1400's. In 1971 it was 'rehallowed' by the Right Rev Robert Runcie. The Baptist churches in Keysoe Row and Thurleigh were united in 1978. The redbrick building on the corner of High Street and Keysoe Road in Thurleigh was built in 1888 and has just been extensively renovated. Further information on the Church and the services can be found later in this document. The aftermath of the Second World War brought about enormous change to Thurleigh. Previously the village had been an agricultural backwater but the construction of the airfield and the threat from the Soviet Union kept the aircraft industry in the area. By the early 1950's the Royal Aircraft Establishment had been created on the airfield site and adjacent land, necessitating the cutting of the Thurleigh-Keysoe Road and the demolition of the hamlet of Backnoe End. This coincided with a decline in the demand for agricultural workers as the small, hedged fields of the Enclosure used for mixed farming were amalgamated to form wide open areas to facilitate the use of new machinery, spurred on by generous government subsidies. Meadowland was ploughed up and animal husbandry largely ceased. This had its effect on the landscape and wild life. When completed the RAE provided considerable alternative employment in the area, over 100 Thurleigh people working there at one stage, and first-class engineering apprenticeships were available for local youth. For over forty years the RAE was at the forefront of valuable research for both military and commercial aeronautics. Vertical take-off was pioneered here - the first such flights taking place at Thurleigh - as well as much work on Flight Simulation, Blind Landing, aircraft-carrier catapults and radar development. The facility finally closed in 1994 and is now used by Palmer Sport as a corporate hospitality centre and for car refurbishment and storage. Thurleigh continues to be a thriving business community with major employers including Jackson Demolition, Star Hire and a number of agricultural holdings. Amongst the latter, Thurleigh Farm Centre attracts visitors from a wide area. The village itself has escaped the large-scale development of others in the area. The first stage of The Close in the 1950's met the needs of local families in over-crowded cottages (most of which were then sold on and improved by newcomers), and was later extended. The Keysoe Road site re-housed people displaced from Backnoe End. Further developments of infill in the High Street, at Vicarage Green and on the former garage site at Chapelfields have provided extra accommodation. The Playing Field was opened in 1962 and includes a Sports and Social Club. The original pre-war wooden Village Hall was renovated in the 1970's and then replaced by a new and larger building. Only one public house, The Jackal, remains of the original four, and unfortunately the Post Office/shop closed in 2007 on the retirement of its owners. Thurleigh as an airfield dates back to July 1940 when work began to build a Bomber Command Base as part of a massive nationwide building programme. An R.A.F. party arrived in July 1941 to open the far from complete airfield. On 9th October 1942 a formation of B17 Flying Fortress left Thurleigh on the first of what was to be 341 daylight-bombing missions over occupied Europe. The 19th April 1945 saw the Group return to their wartime home after what was to be their final combat mission of the war. Thurleigh airfield became the first base in England to be handed over completely to the Americans, giving them full sovereignty and control of these few acres. The 306th stayed longer than any other Eighth Air Force combat unit at a single base and longer in England than any other Eighth Air Force bomber or fighter unit. The building itself is of interest being one of the few remaining on the original airfield built during World War 2. A large collection of artifacts has been assembled to re-create the activities and atmosphere of the airfield and surrounding area during the war years. Dr Jonathan Palmer of Bedford Aerodrome who donated the building opened Thurleigh Museum on the 27th July 2002. The museum's opening was a great occasion for all involved and the many guests that attended. To complete the event Sally B, the only airworthy B-17 in the UK performed a 20-minute air show above the museum to the amazement of the emotional observers. A memorial was originally site up near the Officers Mess site along Keysoe Road. However, in 2012 this was resited at the museum. The village is currently raising money for a memorial to sit alongside the war memorial near the church. For more historical information a book called 'Thurleigh through the Years' is available. Ask at the pub for more details. Household refuse is collected weekly in Thurleigh on Fridays. In recent past, collections have been made on Bank Holidays, but please keep an eye on the local press. You should leave your Black wheelie-bin in a prominent position near to the roadside before 7am. Orange Bins/Bags and Green Bins/Bags with recycling are collected on alternative weeks. There is a rural bulky waste collection twice a year, where larger items can be disposed of within the village. Times and dates are advertised on the website, in 'The Villager' magazine and on the community noticeboard. Blunham Dairy delivers milk in Thurleigh on Mondays and Wednesdays and Fridays. They also carry butter, cream, orange and other fruit juices, bread, eggs and potatoes. At the moment there is no co-ordinator in Thurleigh, but the Trend Sheet is available on the village website. The Parish Council and Community Noticeboards are side by side, in front of the Village Hall. Thurleigh Lower School has a noticeboard by their front gates. Both St Peters Church and The Baptist Chapel have their own noticeboards. Scald End Farm shop strives to offer a taste of the real countryside. Offering fruit and vegetables, meat, a delicatessen and not forgetting everyday essentials. The Parish Council's role is to oversee the running of the village, including street lighting, road maintenance, planning etc. It is a link with Bedford Borough Council. Meetings are held in the village hall on the second Monday of alternate months (January, March, May, July, September and November), starting at 7:30pm. Members of the public are welcome to attend. The Parish Council also looks after the Community Project Fund; applications for grants from this fund are invited from village organisations. These should be sent to the Parish Clerk by the end of March each year. A reminder is usually placed in 'The Villager'. Outside there is ample parking space and a patio which leads off the main hall. Inside the Hall boasts a sprung wooden floor, suitable for dancing and other activities. This makes it an ideal venue for weddings, parties, dances and business meetings. The Playing Field can be found off Keysoe Road. It has a play park for younger children, and space for Football etc. During the year many sporting events, especially Cricket and Football occur here. The Village Garden is opposite the Baptist Chapel. There is a bench in the far corner, where you can enjoy views of the open countryside. Please do not let your dog foul anywhere within the village. As well as being an offence, it can spread disease and is very unsightly. Thurleigh has invested in several dog mess bins, and these are placed strategically around the village. They are emptied regularly. Held each year on the playing fields, Look out for advertising in the run up to November. A map detailing 3 different length walks, all starting and ending at the Village Hall, can also be found on the wall of the village hall. Most people in the village are registered with Sharnbrook Surgery in Templars Way, Sharnbrook. Phone the reception Monday-Friday 8:30 - 18:30 for all enquiries, registration and appointments. It is a dispensing practice. The Harvey Trust provides a taxi service to the surgery for those people who have no transport or anyone able to take them. For details contact the Harvey Trust or enquire at the Jackal. There is an N.H.S. drop-in centre at North Wing on the Kimbolton Road, Bedford. This is limited to emergency treatment only. Bedford Hospital - SOUTH WING ONLY - in Kempston Road offers 24 hour accident and emergency services. North Wing, however, is open for blood testing at Gilbert Hitchcock House. For children up to age 9. Small class sizes in two mixed year groups, Willow and Chestnut. The school is located in the middle of the village and provides a caring family atmosphere. It has the benefit of an large playing field. Wrap-around care is available from 8:15 am until 5:00 pm. In addition, there are several extra-curricular clubs. The Lower School also has an enthusiastic Friends Association. Situated in Riseley from ages 9-13 (years 5-8). Thurleigh is in catchment for this middle school. School buses pick up and drop off from several places in the village. For teenagers from the age of 13 (year 9 onwards). Popular with parents. Offers a wide choice of GCSEs and A Levels in above-average facilities. Thurleigh is in catchment, and school buses run between the Upper School and Thurleigh. Following various discussions and negotiations Bedford Borough Council are now in a position to agree for the re-timetabled early bus journey to operate throughout the year rather than the initially proposed "term time only". The next part of the process is to register the changes with the Traffic Commissioner; this takes 56 days therefore the timetable changes will become effective from w/c 26th May (NB 26th is a bank holiday). St Peter's Church is the Church of England Parish Church in Thurleigh. It is part of the Benefice of Milton Ernest, Pavenham and Thurleigh which is a group of three village parishes under one Vicar that work together to provide the services and pastoral care to the villages. In turn, the Benefice is within the Sharnbrook Deanery, and the Diocese of St Albans. St Peter's Thurleigh has a 'Christians Together in Thurleigh' covenant with Thurleigh Baptist Chapel, and the two churches work together. Thurleigh Baptist Chapel is part of Keysoe Row and Thurleigh Baptist Church. United services are held regularly, either in St Peter's or in Thurleigh Chapel. Although an ancient building, St Peter's has been fitted in recent times with a disabled standard toilet, a kitchen area and and a new heating system in 2012. Other improvements are in the planning. 2nd Sunday each month: 11.15am - United Holy Communion in St Peter's. 3rd Sunday each month: 11.15am - United Morning Worship in the Chapel. Communion alternate months. 4th Sunday each month: 11.15am - United Morning Worship. Alternates St Peter's and the Chapel. When there is a 5th Sunday: Benefice Holy Communion - rotates around the villages. See notices. This pattern will vary during festival periods and at other occasional times, so please check the church website using the link below or the church notice board for exact service times, or call the Vicar. Other regular services at Milton Ernest and Pavenham ensure a choice of service types and times each Sunday. Children are welcome at every service. If you are thinking about a Wedding Service, Blessing of a Marriage, Baptism (Christening), Thanksgiving for a Child, or Confirmation then please speak to the Vicar. See details below. The Reverend Peter Kay has been appointed as the new priest in charge for the Benefice of Milton Ernest, Pavenham and Thurleigh and will be licensed on 2nd September at St Peter's, Pavenham. in the mean time please contact the churchwarden with any enquries. The Chapel is now privately owned, with plans to convert into residential property. 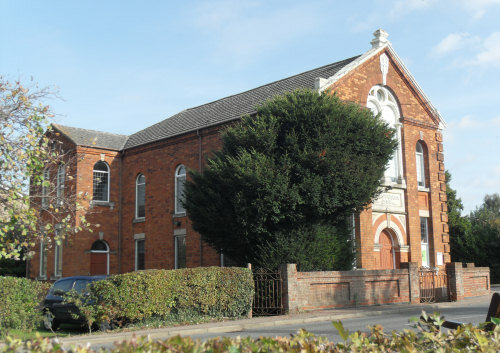 The Baptist Chapel was built in 1888, replacing an earlier building which had stood on the grassed lawn to the side of the current building. In recent years the congregation merged with the Keysoe Row Baptist chapel, there is also a close working partnership with St Peter's Church Thurleigh, Both these two locations are used for services. Sundays at 9:30am at Milton Ernest School. Adventurers is for ages 3-9, whilst Explorers is for ages 9-13. Please see The Villager for details. There is a regular House group held at the Vicarage, where people come together to spend time in worship, prayer and Bible study. Ask the vicar for more details. A discussion group is occasionally held on Monday nights at the Jackal to discuss God, faith and the world. See The Villager for details. A monthly prayer group meets in the barn next to Keysoe Row Chapel on the 3rd Thursday in the month. See The Villager for details. 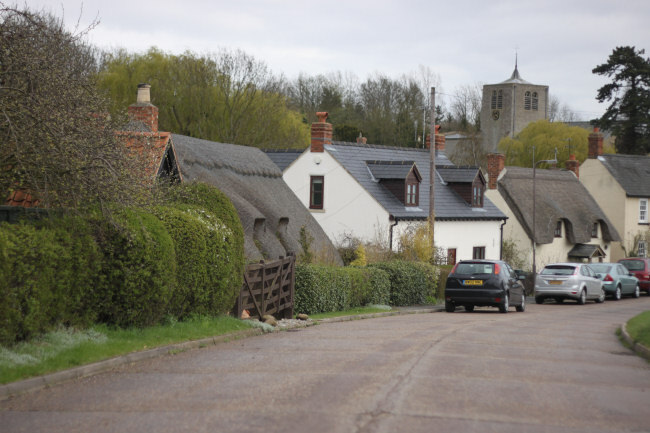 The Harvey Trust is an ancient village trust set up to help villagers of Thurleigh experiencing hardship. Today this is financial assistance in times of illness, disability, bereavement, hardship or any other emergency for any resident of the village. The trustees are all members of the local community so if you, or someone you know in the village, is in need of assistance, please call. The Free School Trust (or The George Franklyn Trust) was set up in c.1618 by local landowners and later was established as a charitable Foundation in 1899 as a method of distributing grants specifically to 'support educational needs'. The grants are available to children whose parents have been residents of Thurleigh for 2 years. Recent grants include funds for school exchange visits, field trips and some university expenses. Mature applicants with educational aspirations are also eligible. The Villager is a monthly church, chapel and community magazine for Thurleigh, Milton Ernest and Pavenham. It contains reports on village activities such as and the Ladies' Club, Parish Council reports, diary dates for community events, schedules of services at St. Peters and the Baptist churches and so on. Articles on most village subjects are welcome. Opened 25 years ago, the club has over 300 members from the village and surrounding area. Membership is open to all over the age of 16 and currently costs £3.50 for the first year and £3 for subsequent years. The bar is open every evening 7:00 - 11:00pm, Saturdays from pm and on Sunday lunchtimes. Regular events include Bingo Nights on Thursday and Sunday evenings at 8:00pm, barbeques and music evenings. The Club also has skittle and darts league teams. However, on certain functions, e.g. The Annual Bonfire Night, non-members are allowed to see what is on offer. The clubroom is available to hire for parties, receptions and other events by members. For further information please call the Secretary. Thurleigh has two cricket teams, whose home ground is Thurleigh Playing Field and who play on Saturdays over the summer months. In addition there is a midweek team, which normally meets on a Wednesday. It is not necessary to be a resident of the village to join the cricket teams, nor is there any age restriction. Match fees are £3.00 for a Saturday match (starting at 2:30pm) and £1.50 for the mid-week game. A Football club is being formed, watch out for information. The Sunbeam Club for the over 50's meets at Thurleigh Playing Field Social Club on the 2nd Tuesday of each month (except August) at 2:30pm where there may be a speaker or a game of bingo. Outings and other events take place throughout the year. To join just come to a meeting or ring the secretary. 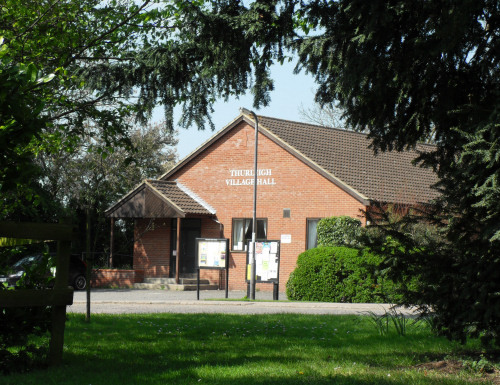 The Ladies' Club (not affiliated to any other organisation) meets on the third Tuesday of every month in the village hall at 10:30am-12 Noon, new members are assured of a warm welcome. St Peter's has a band of Bell Ringers who ring on special occasions and at weddings by request.